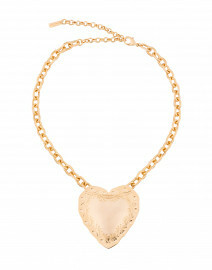 FALLON's repousse hearts collection reinvents the classic Victorian heart locket in a bold and modern way. 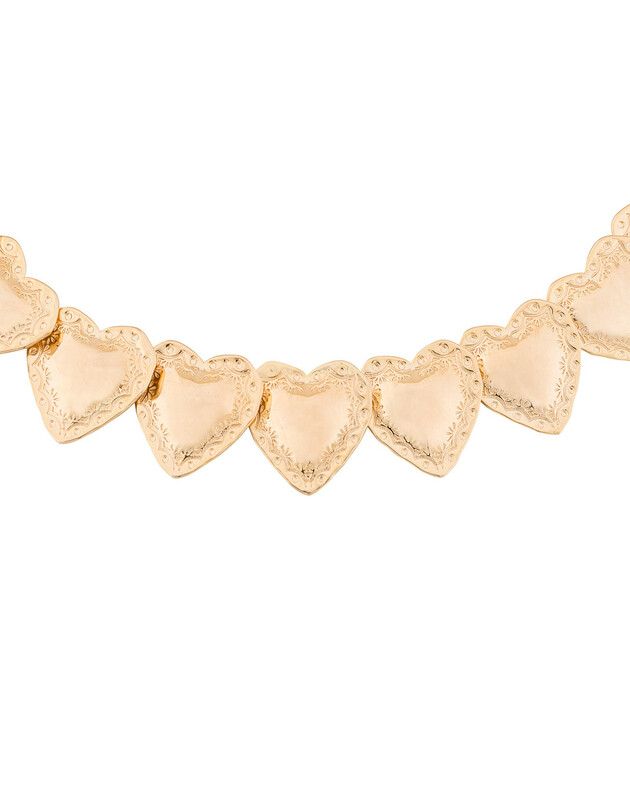 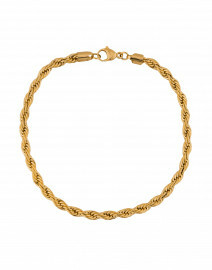 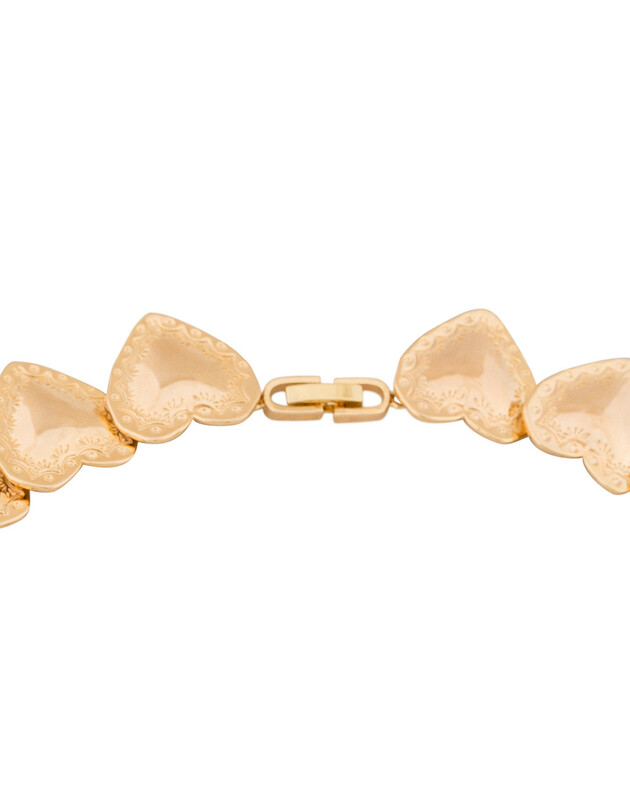 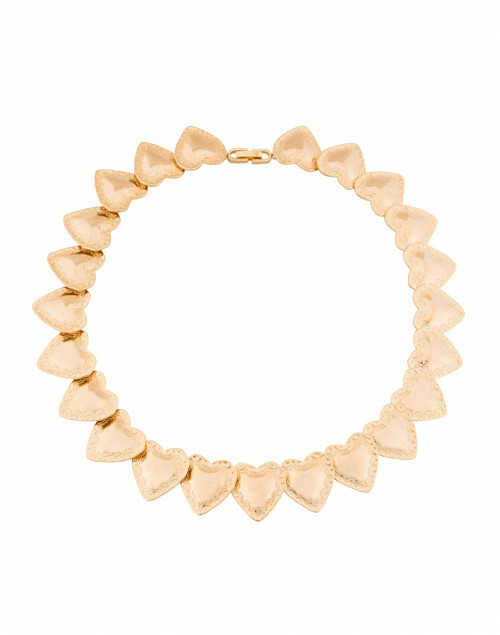 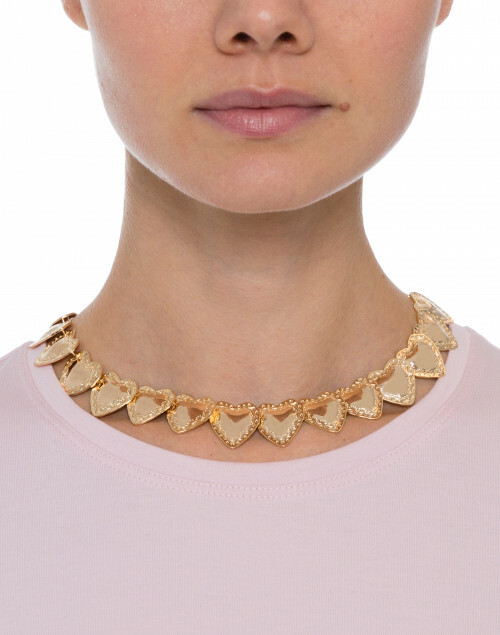 This collar necklace is composed of gold plate brass hearts, secured with a lobster claw fastening. 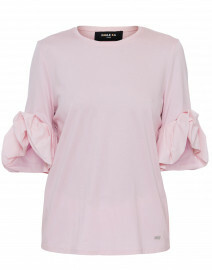 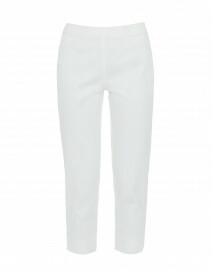 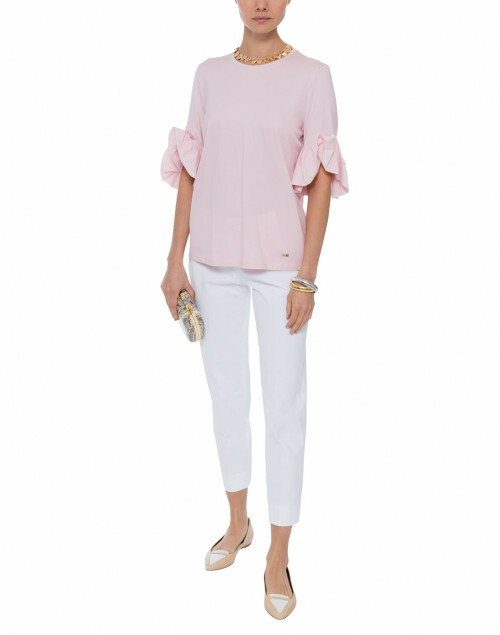 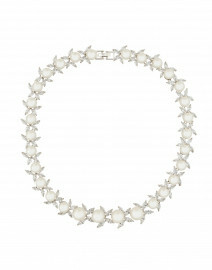 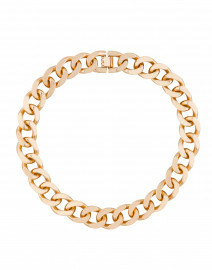 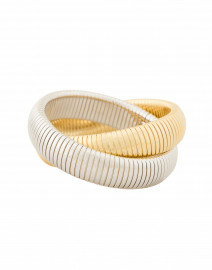 Pair with a blush colored blouse and metallic flats for a romantic date night outfit.